Pas du quai et de la taverne historique / Inn, la bibliothèque de excellents enfants. Ferry locale Vineyard, Nantucket et de Martha Cuttyhunk. A convenient and lovely spot in a beautiful seaside town. A charming house with a warm and welcoming hostess. We spent many hours relaxing in the large yard under the pergola. We grilled, walked to the lighthouse and took day trips to the beautiful surrounding area. A perfect summer hideaway. This charming cottage is located in an idyllic town nestled away from the stress and crowds of the summer tourist season. The owner was so warm and welcoming, and made every effort to ensure we would have the best stay possible! She also went above and beyond to make sure all went smoothly given our complicated travel logistics. (Thank you Lorri!!) The house was equipped with everything we needed, plus fun extras such as lawn games and snacks. We enjoyed several meals under the grape-vine covered pergola looking out onto the expansive backyard/garden. If you want to eat out, there are many good restaurants nearby, one within walking distance around the corner near the harbor. Both the house and town were adorable! I highly recommend staying here!! We would love to return someday!! Florida and appreciates your kind words. What a wonderful experience! You will love this charming cottage!! including the host..... very sweet and personable and she made sure everything was perfect for our stay. The cottage is equipped with everything you could possibly need. The bed in the master bedroom was extremely comfortable. The location could not be better. Lovely cottage and the owner was so nice! We will definitely return. The Enchanted Cottage loved the enthusiastic comments. Had a wonderful two weeks. Everything we needed was there. Dear Lorrie, thank you for sharing your cottage with us, we had a wonderful week. The cottage was charming and beautifully furnished and supplied. The garden was splendid and no matter how hot it was, being under the vine-covered pergola with the lovely sea breeze kept us very comfortable. Walking around town reminded us of Edgartown but without the hassle of getting there or the crowds of the Cape in the summer. Your neighbors were wonderfully friendly as was everyone in Mattapoisett. We loved our two week stay in this seaside cottage. 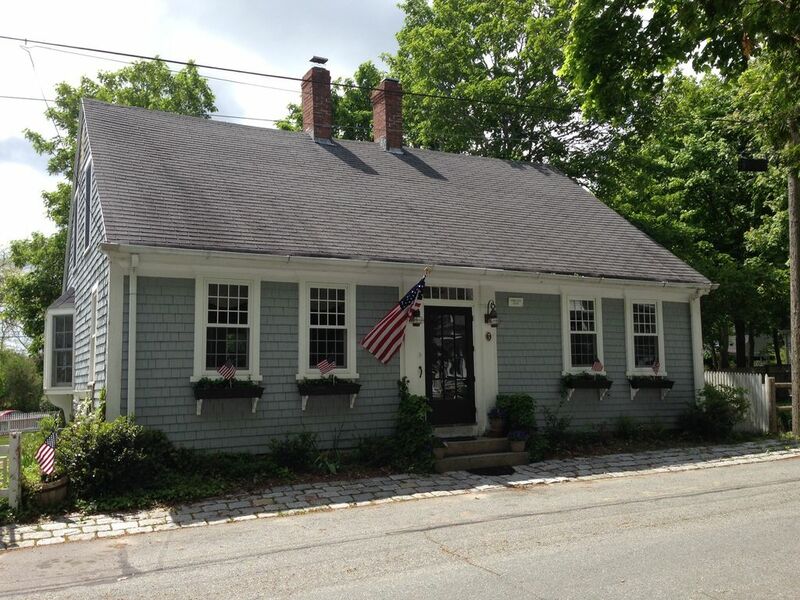 Full of New England charm, exceptionally well appointed-- everything we needed was there. The house is clean and the beds are very comfortable. Beautiful back deck and patio. Lunch and dinner under the pergola were magical. Walk to beach, town, wharf, restaurants, etc. The owner was so hospitable making sure everything was to our liking. She was readily available by phone for any questions we might have. We will definitely return to this special spot.